With government targets of reducing carbon emissions by 80% by 2050, long term energy saving is more important than ever. Encouragingly, consumers are constantly on the look-out for simple, cost-effective ways to do their bit for the environment, while also keeping track of longer term solutions that can help beat rising energy prices and keep their energy consumption and carbon emissions down. The Earth Times caught up with Craig Dodsworth of Saint-Gobain Glass to find out more about PLANITHERM, the next generation energy saving glass that could help property owners save money - up to 28% on their energy bills, in fact - and help them make their homes much more energy efficient. A massive 25% of all heat loss in the home occurs through the windows, making this a major area for consideration when it comes to long-term energy saving in the home. "Windows need to work harder," says Craig, "as they play a valuable role in reducing heat loss and therefore slashing our energy consumption. There are currently 26.3 million homes[i] in the UK, and we know that approximately 75% of these either don't have full double glazing, or have double glazing that was installed prior to 2002, so there are substantial savings to be made by replacing the windows in these properties with A-rated double glazed windows. 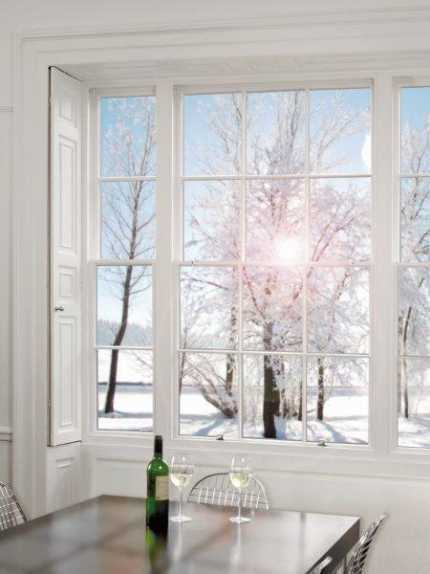 [ii] A-ratings can easily be achieved using PLANITHERM glass, as it draws heat and light in from outside and helps to reduce heat loss by reflecting much of the radiated heat back into the room, rather than letting it escape out through the windows." Interestingly, far from commanding a 'green-premium,' PLANITHERM costs about the same as normal glass. "If anyone is replacing their windows, opting for a hard-working, energy saving glass like PLANITHERM makes perfect sense," continues Craig. "The savings soon stack up; with the average dual-fuel bill now at £1345, a saving of 28% on this works out at £376. [iii] That's a lot to put towards next year's Christmas presents, or to plough into making your home even more energy efficient through measures like loft insulation, water conservation and draft-proofing." [iii] Based on a gas-heated, semi-detached house. Figure calculated based on 28% saving on average household energy bill of £1345, according to BBC News. Savings rise to £478 for a detached property. For more information on Saint-Gobain Glass visit www.saint-gobain.co.uk.